Be sure to buy non-GMO popcorn kernels. If they are labelled “organic” they will be non-GMO. Place a small saucepan over medium heat. Add coconut oil, coconut sugar and maple syrup. Stir to combine. Simmer until sugar dissolves. Whisk in almond milk. Add cinnamon and sea salt. Simmer for a few moments. Remove from heat. Place in the freezer for a few moments to cool down the sauce. Stir sauce a few times while it is in the freezer. 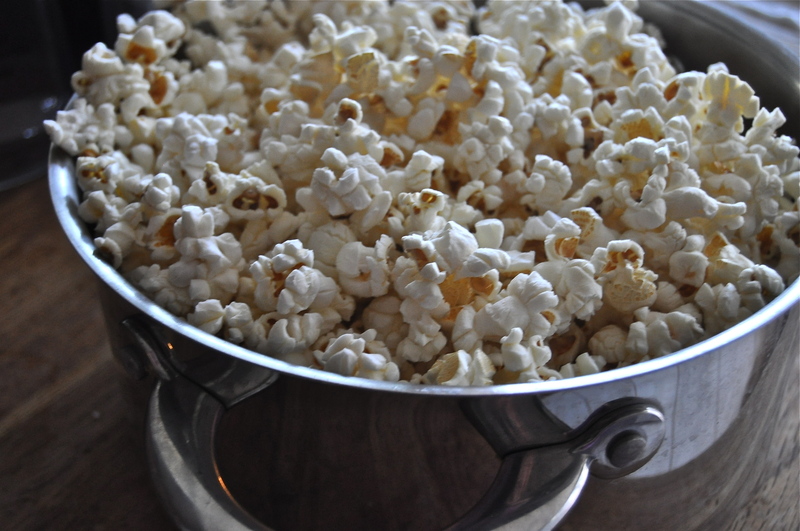 If you add the sauce while it is too hot it will cause the kernels to shrivel. 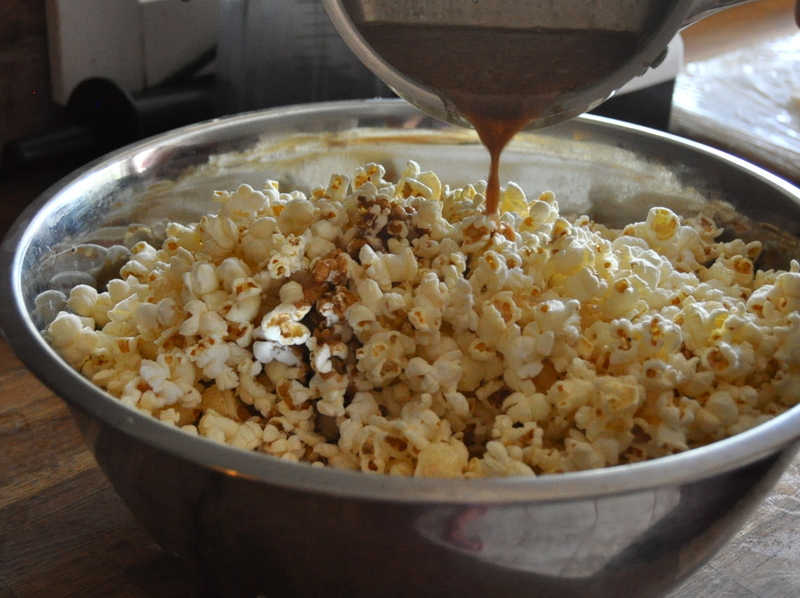 Once sauce is lukewarm, pour over popcorn. Stir to combine. Really dig down to the bottom as you stir as the sauce has a tendency to gather there. Eat 🙂 Whatever is leftover can be store in an airtight container for a few days (this shouldn’t be an issue). 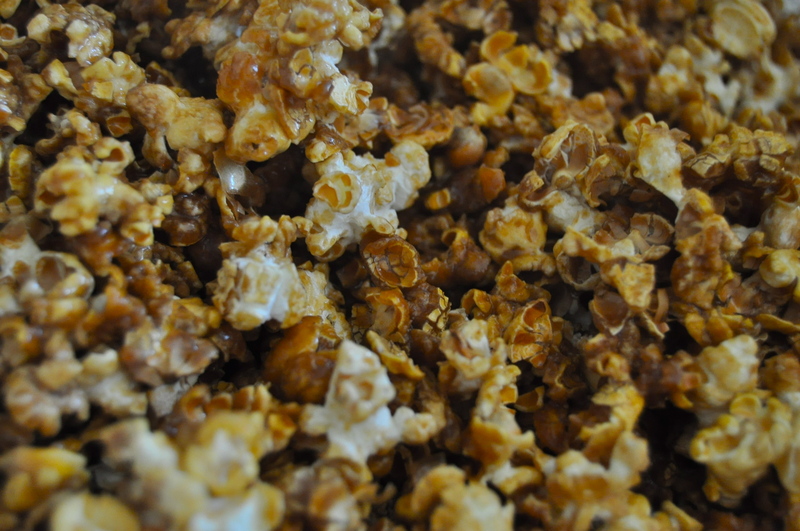 This entry was posted in snack, vegan and tagged coconut sugar, food, healthy, movie night recipe, popcorn, snack, vegan caramel corn, without corn syrup. Bookmark the permalink.